Happy Earth Day. Come make your own reusable shopping bag and spare the Earth some plastic bag refuse. In the near future, stores will begin to phase out plastic grocery bags. This bag is made in the same shape as those plastic bags and fits on the plastic bag rack...but it is much improved. This bag requires one yard of fabric for the inside (lining) of the bag, and one yard for the outside of the bag. Fabric is not included. 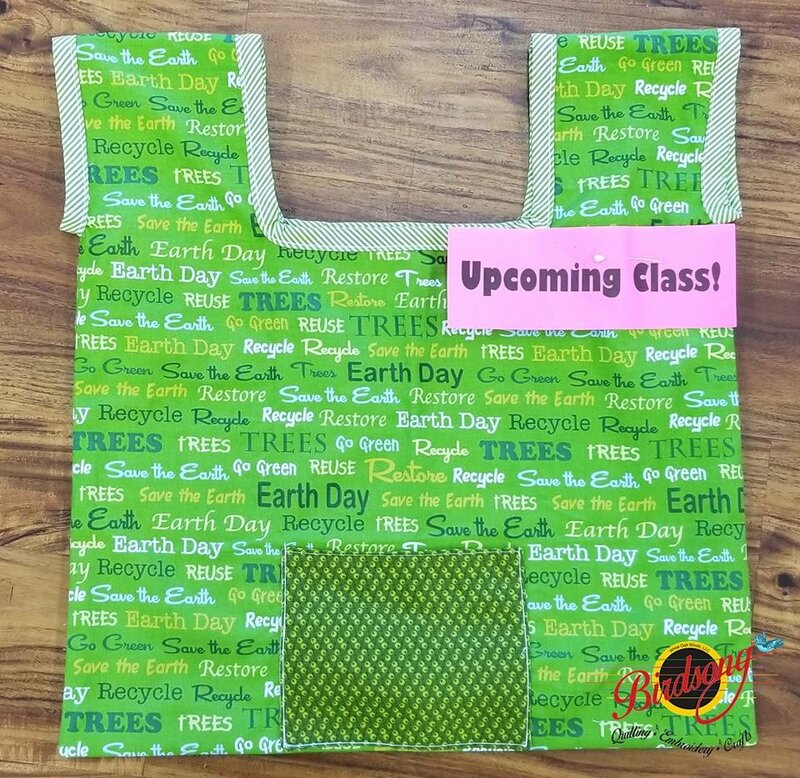 You will learn how to stitch a cloth bag using different seam allowances, how to make your own bias tape, and you will learn how to apply bias tape to challenging edges. Requirements: Please bring your fabric and basic sewing supplies including your sewing machine. If you would like to sew on one of our machines please let us know in advance, we will be happy to set one up in the classroom for you. Also bring scissors, pins, a quilters ruler and thread to match your project.